MainAll NewsDefense/SecurityA Jewish member of the Palestinian Authority? A Jewish member of the Palestinian Authority? PA showcases Jewish member of Palestinian National Council in response to the uproar over Mahmoud Abbas' anti-Semitic comments. 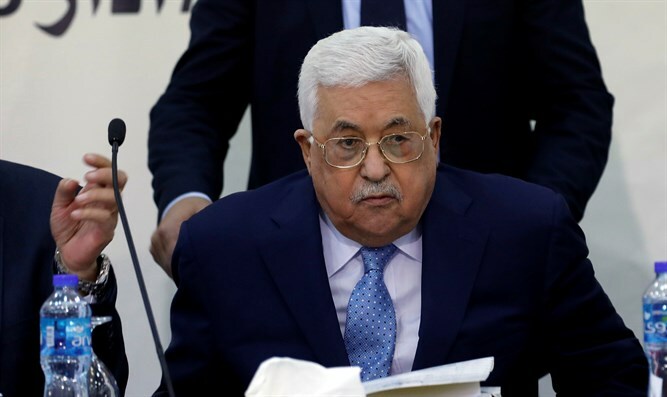 The Palestinian Authority (PA) is attempting to push back against criticism of President Mahmoud Abbas' comments blaming the Jews for the Holocaust by showcasing Jewish members of Palestinian National Council. According to the official Palestinian Authority news agency Wafa, "a member of the Palestinian National Council, Uri Davis, who is Jewish, sits with his council members, including Christians and Muslims, to discuss issues of interest to their Palestinian people." The article continued to say that Davis "is a Palestinian belonging to a Jewish religion and will continue to work for liberating Palestine and achieving its independence from the occupation embodied in Zionism, which has no connection to the Jewish religion because it is a religion that opposes the occupation. " Uri Davis had converted to Islam back in 2008 and married a 50-year-old Fatah activist in Ramallah. His heavily publicized wedding was attended by Abbas and other PA officials. The campaign to showcase Davis comes as President Mahmoud Abbas has been excoriated internationally for telling the Palestinian National Council in Ramallah earlier this week that the persecution and mass-murder of Jews, including pogroms and the Holocaust, were not the result of deep-seated anti-Semitism, but of “Jewish behavior”, including money-lending. U.S. Ambassador to Israel David Friedman ripped Abbas, tweeting that "Abu Mazen has reached a new low in attributing the cause of massacres of Jewish people over the years to their ‘social behavior relating to interest and banks.’ To all those who think Israel is the reason that we don't have peace, think again."